It’s time to #DumpWells Fargo. They’ve done wrong at Standing Rock, in relationship to our City, our schools, their customers and more. 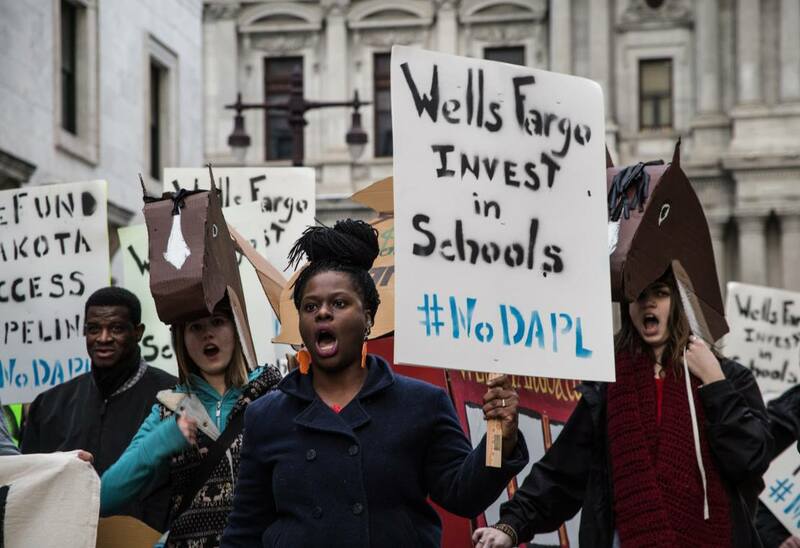 We demand that Philadelphia City Council divest from Wells Fargo and any bank that actively hurts our communities and environments. Secondly, we demand that Philadelphia’s money ought to be invested in a public, municipal bank that is transparent, accountable and community controlled, a bank that reinvests where it is needed most–in the well being of our communities, and environments. We’ve had one planning meeting with over 100 people. We’ve spent one afternoon in City Hall, lobbying Council members. We’re meeting with each Council member with our asks.